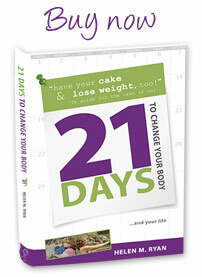 Cindy Santos is joining Real World Weight Loss as a contributing writer. 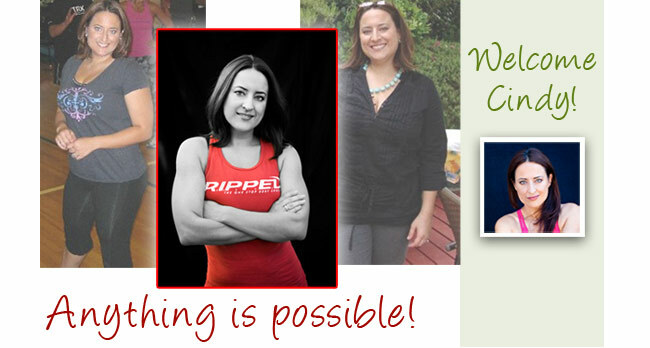 Learn more about Cindy, her battles with weight, and her triumph and rebirth as a fitness instructor below. Keep an eye out for Cindy’s posts. She’s got some great tips for you that will help you get healthier, gain balance and lose weight! Weight has always been a struggle for me. I am not an individual that keeps it off easily. Throughout my childhood, I participated in sports and dance but as a teenager, I began to put on weight. Overeating and a sedentary lifestyle were the culprits. At eighteen I was heavy and unhappy and decided to do something about it. I lost 28 pounds and began working out at the gym taking Step Reebok classes. At my best weight and best self, I met my husband. Then, just like it happens with everyone else, life got the best of me. I started to slack because I took for granted that I was in great shape. Over the course of seven years, I gained 40 pounds. Was I happy? No, but I felt that it could never happen for me again and that I would never be thin again. It started settling in that I should just “settle,” and that as a married woman of almost forty, it didn’t matter what I looked like and that since my skinny jeans were a thing of the past, my attempts for a better body should be too. In the spring of 2010, a good friend invited me to a Zumba Fitness class with Dionne Thomas. Dionne completely changed the way I thought about fitness. I could no longer do Step Reebok, and nothing had come close to the exhilaration of dancing around on that step until I found Zumba Fitness. I joined the gym immediately! A few months later, a new class started that summer—R.I.P.P.E.D. I was floored at how out of shape and out of breath I was. The class was invigorating and the instructor very motivating, and pushed us to our limits. I attended R.I.P.P.E.D. and Zumba Fitness six days a week and started watching my nutrition. The pounds began melting off week after week, and my energy soared. The person in the mirror was starting to look like her old self again! In August of 2010 I received my certification to teach R.I.P.P.E.D. but did not begin teaching until October. I really wanted to be stronger and more fit before I took on a class of my own. Luckily, with the exceptional format, it didn’t take long. The Zumba Fitness certification came in March 2011, my Piloxing Certification in the fall of 2011, and now my AFAA Yoga Workshop in May 2012, and Primary Group Exercise Certification June 2012. Further personal training certifications will come at the end of the year because I am interested in growing as an instructor and trainer. Fitness is a part of my life, and the members in my classes inspire me to do more and be more. Aside from being fun and exciting, teaching is a way that I can give back and show others that anything is possible, if you believe in yourself and are persistent. Eating well and exercising is a necessary part of our lives. We all have different goals, but being healthy is the one goal we all need to share. To think that my lifestyle change has just added many years to my life and has increased the quality is astounding. Whether you are just starting out or ready to take it to the next level, food and fitness go hand-in-hand. I believe that food can be delicious and healthy at the same time. There is so much available to us if we just look and give it a try. Greek Yogurt may not be your thing, for example, but try adding it to a smoothie instead of protein powder. It has so many benefits and can really punch up the nutritional value. Incorporate new ideas into your meal plans, plan ahead, be consistent, and most of all, enjoy what you eat. Food fuels me but it also makes me happy. I control it—it no longer controls me. I have defined my relationship with it and know that it will be there tomorrow…it isn’t running anywhere. My choices are 90% great and 10% splurge. My goal is to share fitness and the joy of healthy eating. We can all benefit from new ideas and new thoughts. There is so much for us to explore, enjoy, and conquer. Get your body and mind ready for it! You really are an inspiration and a great mentor! Thank you both for your cheers! You both have been a great inspiration to me. Stay fit and be it! ~ Cindy Santos ~.